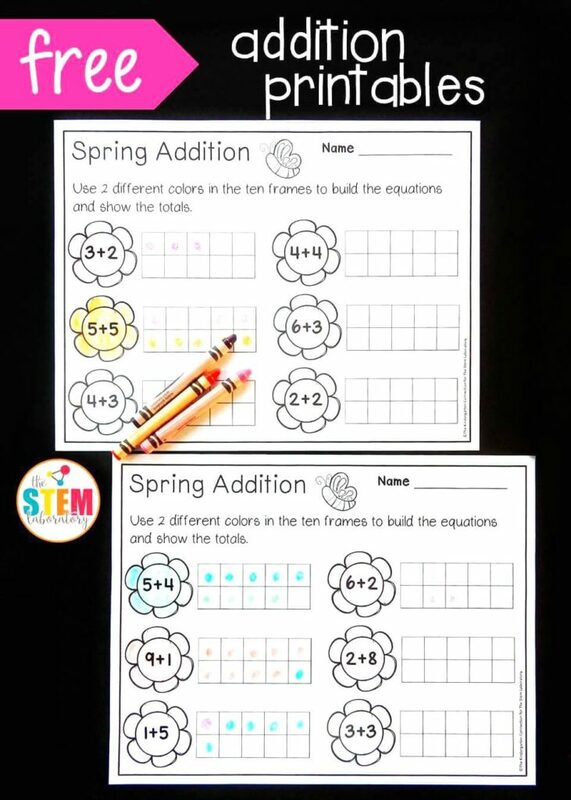 Work on beginning addition this spring in a fun, colorful, and hands-on way! 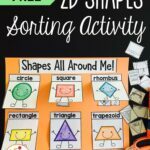 Build an understanding of counting, combining sets, and making new totals with sums to 10 with these free printables. 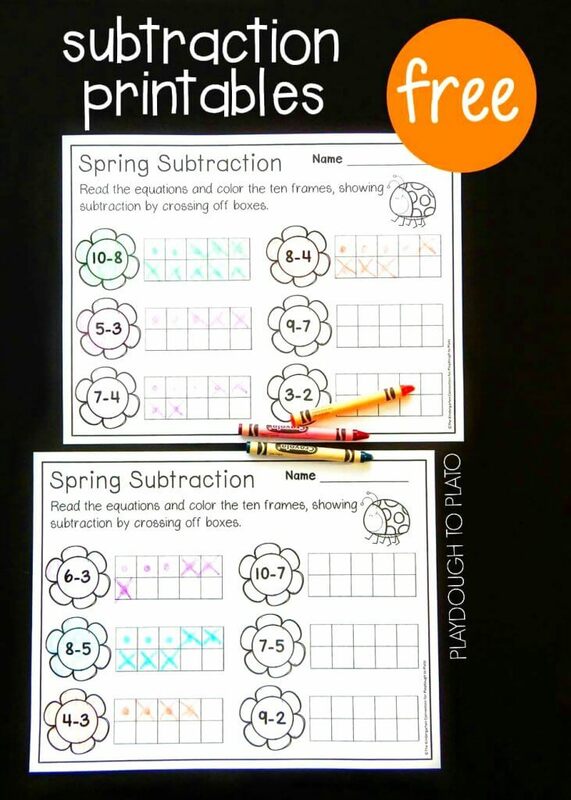 Grab your copy below and then hop over and snag the spring subtraction set over on our sister site, Playdough to Plato, HERE. 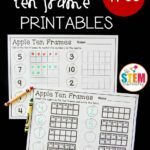 I love using ten frames to teach addition because they are a math tool that my kids are already so familiar with since we use them nearly every day. 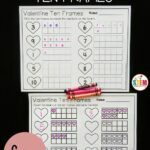 They understand that each square in a ten frame is equal to the amount of one, so they are an excellent way to practice counting, one to one correspondence, and combining sets together. 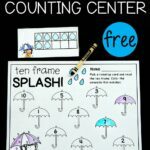 Plus, kids can more quickly see totals on the ten frame since they are familiar with its structure. 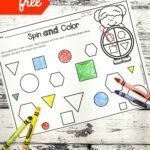 These printable pages could not be easier to prepare – I simply printed off the page I wanted to work on with my small group, and added crayons. That was it! 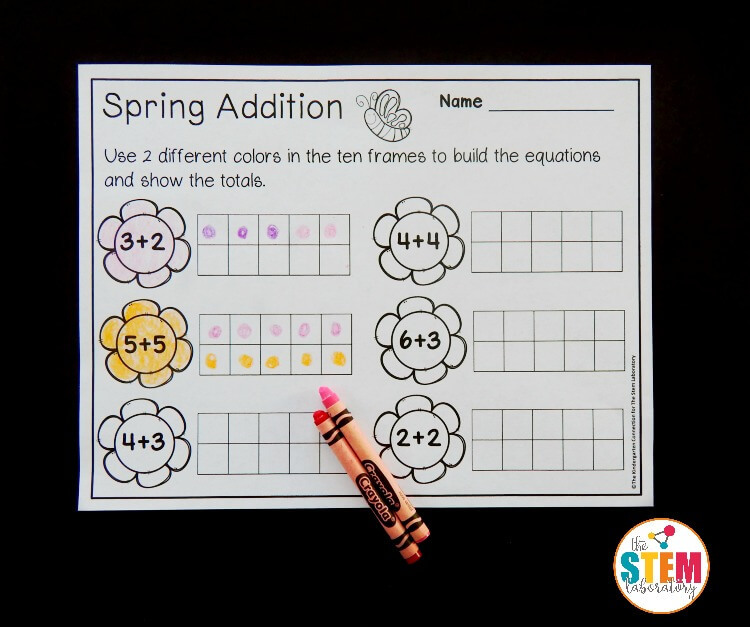 The addition pages require two different colors for each equation. Since I was in a small group and could easily supervise and assist, I let my students change up the two colors for each equation. Depending on your learners, you may want to only use the same two colors for the entire page rather than offering a wide variety, but it’s up to you. We enjoyed switching to two new colors each time to give our page a “spring-like” feel! Our first equation was 3+2, so we placed 3 purple dots and 2 pink dots in the ten frame. The purpose of switching the colors was to get the visual representation of the two sets of numbers. Using all purple would give us the same answer, however we wouldn’t get the visual of 3 and 2 combining to make 5 as well as when we use two colors. We kept filling in our ten frames to match each equation shown until they were complete. 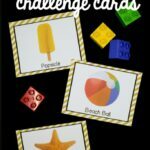 A fun alternative way to use these printables more than once is to make the dots using q-tips dipped in paint, markers, colored pencils, or stickers. Just changing up the materials you use makes solving the same equations brand new and exciting! Ready to work on addition to 10? 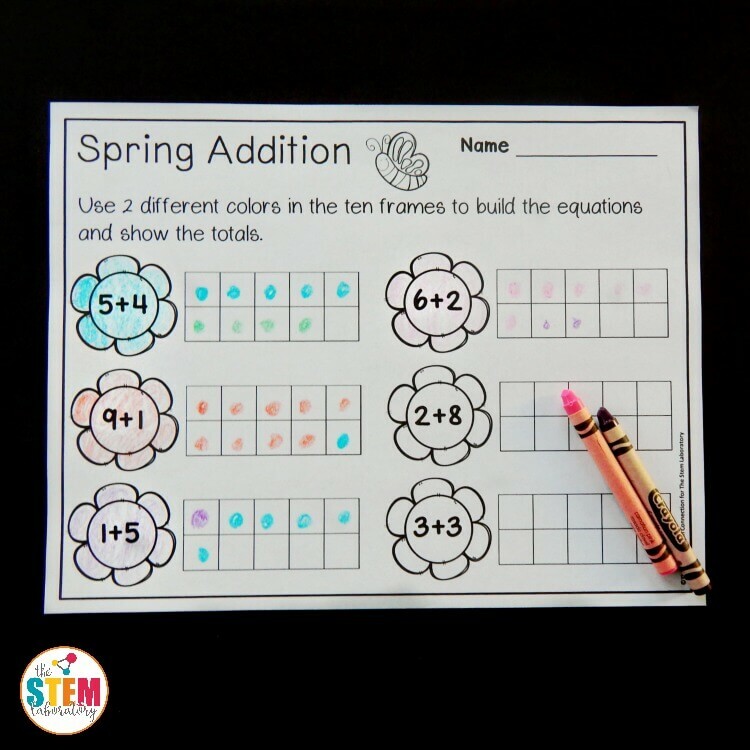 Grab your copy of the spring addition ten frame printables by clicking the button below! 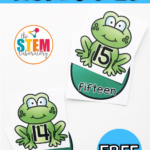 Then, if you feel like tackling some subtraction, hop over and grab spring subtraction ten frame printables on our sister site, Playdough to Plato, too!